Problem: FogBugz hangs (or spins) and doesn’t seem to do anything after submitting a web page, with Norton AntiVirus or McAfee Virus Scan installed on server. Norton Antivirus and the latest versions of McAfee Virus Scan have special features that interfere with the execution of certain ASP pages. 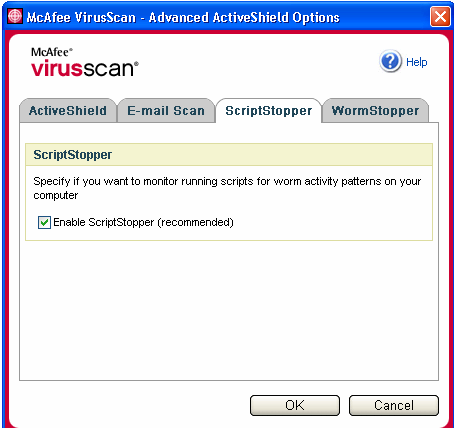 Norton calls this “Script Blocking” and McAfee calls it a “script stopper utility”, and they prevent scripts (in this case .asp pages) from writing files to the hard drive. If this feature is turned on, for certain FogBugz actions the web page will just spin and spin. In the cases we’ve seen so far the page never loads, never times out, and no error message is presented . To use FogBugz you must disable this “script blocking” feature in whichever anti-virus software is running on your web server. In Norton Antivirus: Right click on the Norton icon in the taskbar and choose ‘Configure Norton Antivirus’. Then clear the checkbox marked Script Blocking to turn off Script Blocking. Note: Norton AntiVirus is not intended to be used on servers. Then hit ‘OK’ and then ‘End Now’. 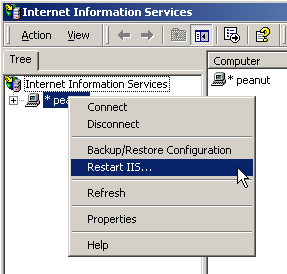 IIS will restart immediately. For more information see Microsoft Knowledge Base Article #Q295375 or Symantec’s site on How To Disable Script Blocking.